DriversCloud is a system analysis tool that can quickly help you to learn everything about the current state of your PC system, including information about your hardware, current software, a listing of all your drivers, recommendations for updating your drivers, and much more. Because of the fully-featured approach to analysis and scanning and also a great commitment to streamlined UI and easy-to-use controls, DriversCloud Offline Detection can be used both by novices and experienced users. The use of the program is done in two steps. 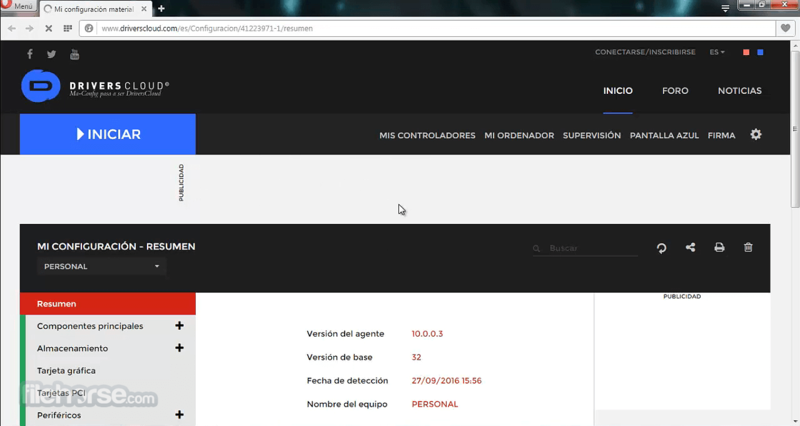 First, you must install the miniature application on your PC, and then you can start controlling this app directly via your PC web browser. 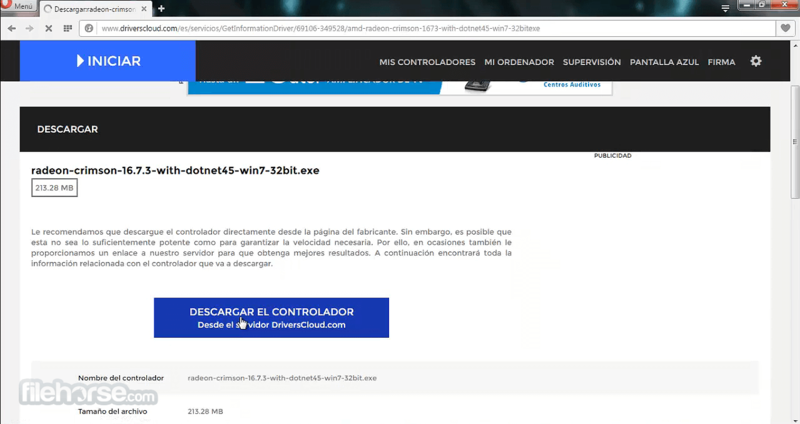 If you want to run DriversCloud on a PC that does not have an internet connection, you can do that via a separate portable and offline version. While DriversCloud is incredibly helpful and can identify issues that have led your system to become unstable, it lacks few quality-of-life features that many users would appreciate. Namely, it lacks the ability to download and install drivers automatically and it does not support bulk downloading of drivers. Also, because it will present users with much more than just obsolete driver listing, DriversCloud can sometimes be over whelming to novices and users who are not sure how to properly manage recommended software fixes. Main app screen of Drivers Cloud will immediately prompt you to start a scan of your PC, which will identify all the hardware items you have installed and will detect all of your up to date and outdated device drivers. 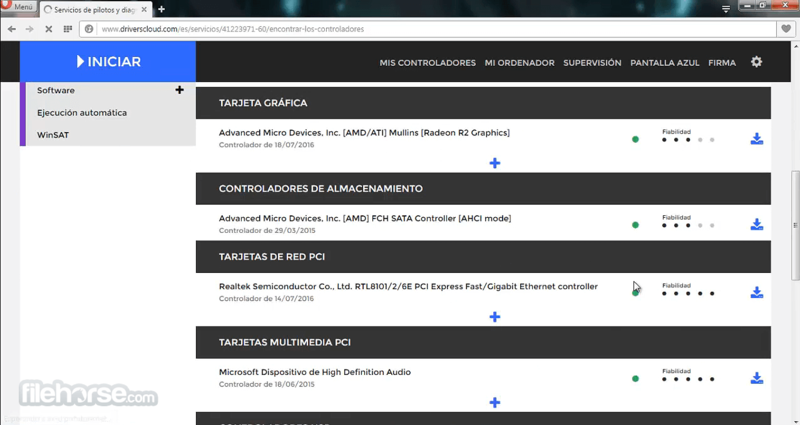 To make the process of bringing your PC up to date with all the latest drivers, all the outdated driver listings will also feature download link for the updated version of the driver for the device in question. To make the download go smooth, fast and secure, all the driver updates recommended by the DriversCloud are hosted on their own servers. Users of DriversCloud can also freely browse this driver database, which can be sorted by manufacturer and components. In addition to driver management, DriversCloud can also scan your Windows installation for many other types of software issues, misconfigurations, corrupted files, registry problems and other issues that may lead to your operating system instability. This includes not only a handy BSOD (Blue Screen of Death) analyzer but also a system information tool that gathers all the information about your local hardware, software and more. Because DriversCloud is managed via a web browser, this allows easy saving or sharing of gathered information. This can be especially helpful if you want to provide your system data to technical support. The app has built-in support for saving your detected system informationin a PDF file, and one-click solution for sharing it via popular social networks. Finally, DriversCloud (offline detection) can also help you keep a piece of mind with its real-time monitoring system that will keep an eye to your system stability, power usage, overheating and more. The capability of the real-time monitoring depends on the features and sensors present in your particular hardware (CPU, graphics card, etc. ).